Hey there, we are back to upgrade your beginner level. 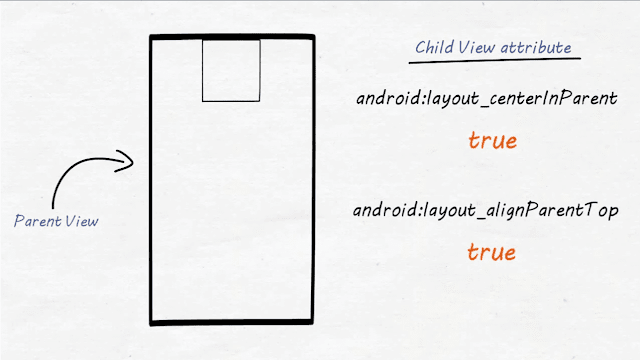 Yes, Today we are going to talk about relative layout in android. So lets move ahead and have clear understanding about it. What is Relative Layout ? 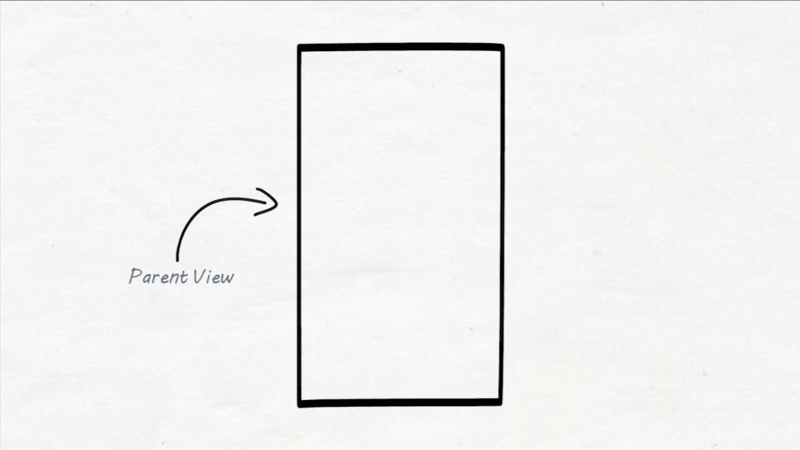 A view group that displays child view in relative positions. The answer you read above is so common. But have you ever get it ? what does it means actually ? Yes, you still have some confusion about relativity. So let's understand it in a layman way. For example this is a relative layout as parent view. Now, we will create a child view inside this parent view. As you can see that there is a child view on which we are going to change it's attribute. Have a look on some attributes and there characteristics that what they does. 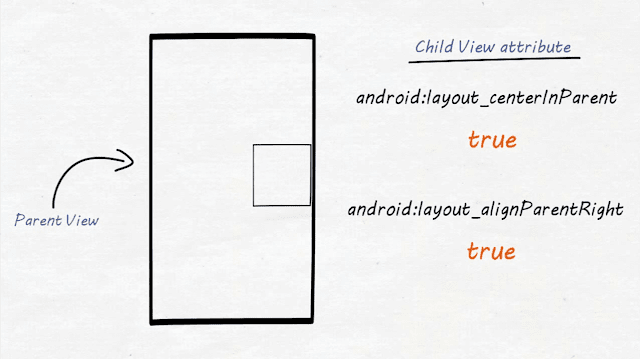 android:layout_centerHorizontal This attribute will take our child view in center, horizontally. android:layout_centerVertical This attribute will take our child view in center, vertically. 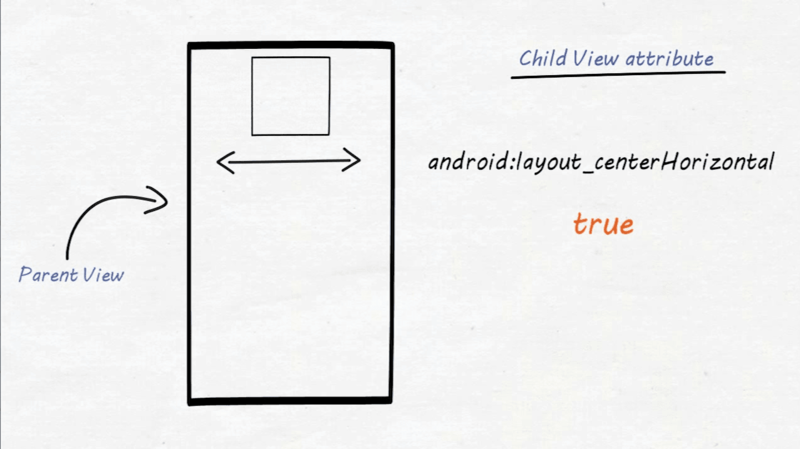 android:layout_centerInParent This attribute will take our child view in center, horizontally and vertically both. So let's get started with the attribute one. See the result of this attribute. We applied it on our child view. 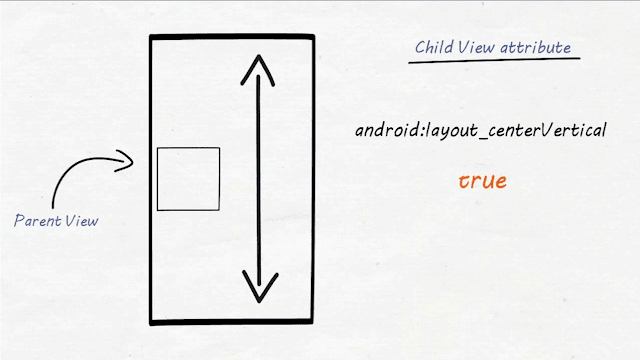 As you can see that if we do android:layout_centerHorizontal = true, child view is now horizontally centered. This attribute hangs child view in center, vertically. 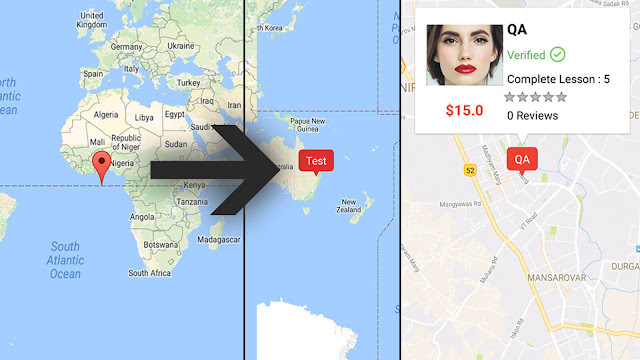 See the result of this attribute. We applied it on our child view. You have already seen previous attributes and knows that how they can be used. 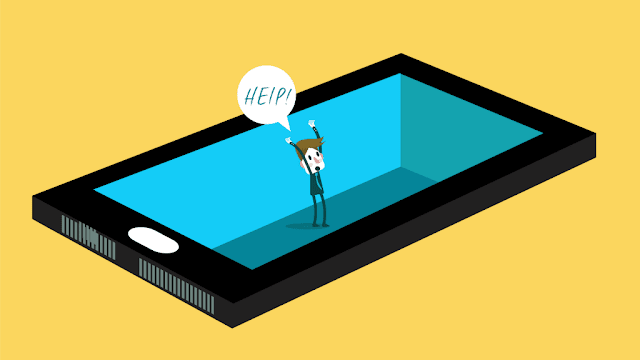 Same as we will use android:layout_centerInParent. after appling this, the result will be like this. 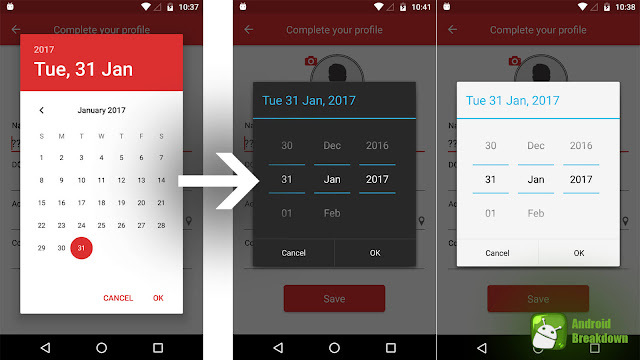 As you can see that by using android:layout_centerInParent we can take our child view in center, horizontally and vertically both. Let's move ahead and take a look on some more attributes. 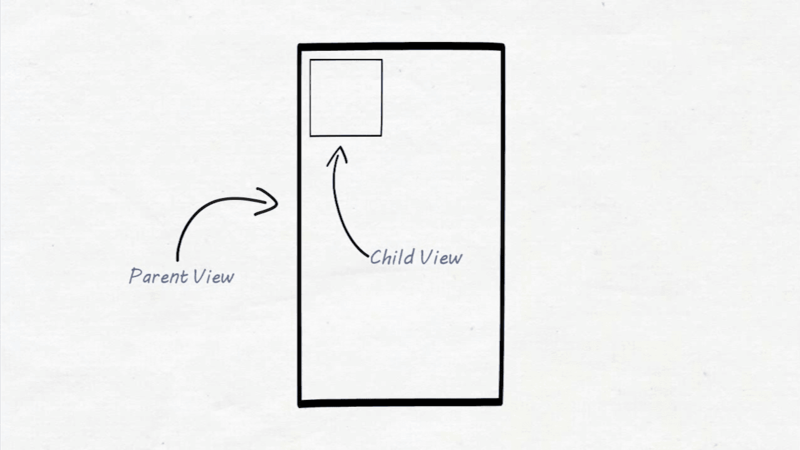 Before moving further let's make another child view in that same parent view. Give them ids, id:A and id:B. After giving them ids we are going to apply some more attributes. 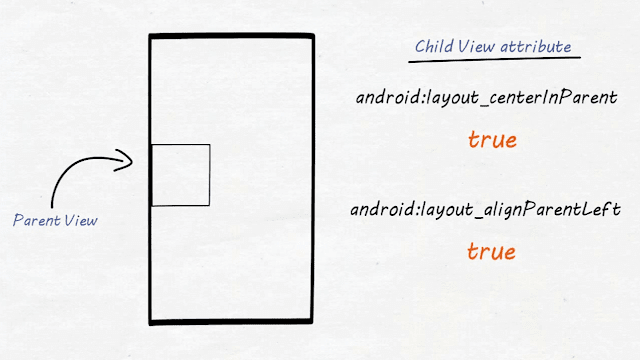 android:layout_above This attribute will take child view(id:B) above another child view(id:A). 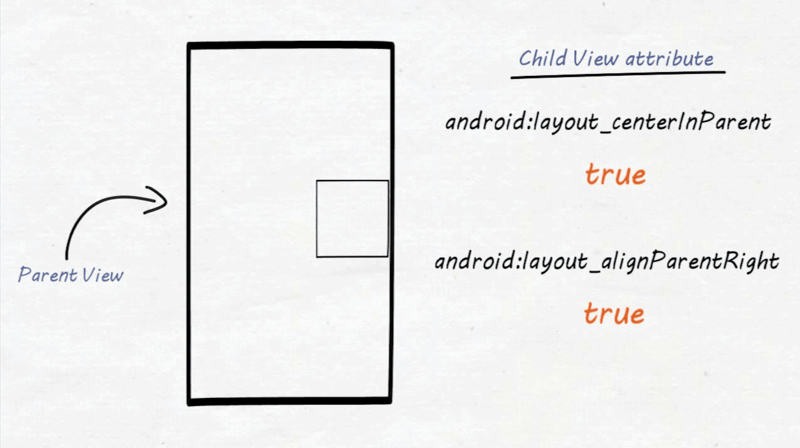 android:layout_below This attribute will take child view(id:B) below another child view(id:A). 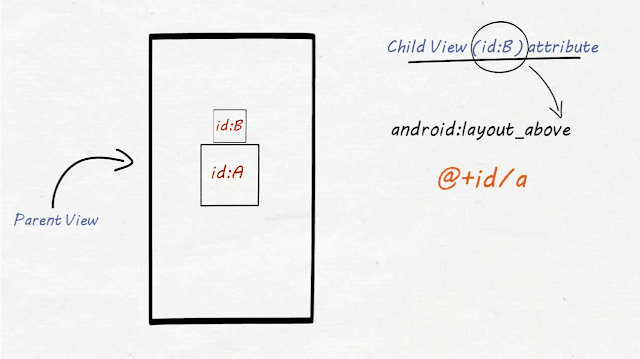 android:layout_toLeftOf This attribute will take child view(id:B) to the left side of another child view(id:A). android:layout_toRightOf This attribute will take child view(id:B) to the right side of another child view(id:A). See the result of this attribute. We applied it on our child view(id:B). 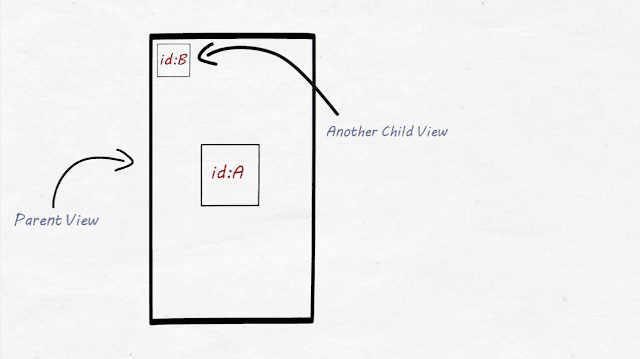 You can see that child view containing id:B is above another child view id:A. By applying android:layout_below on child view (id:B), we can set this, below another child view (id:A). See the result of this attribute. We applied it on our child view(id:B). 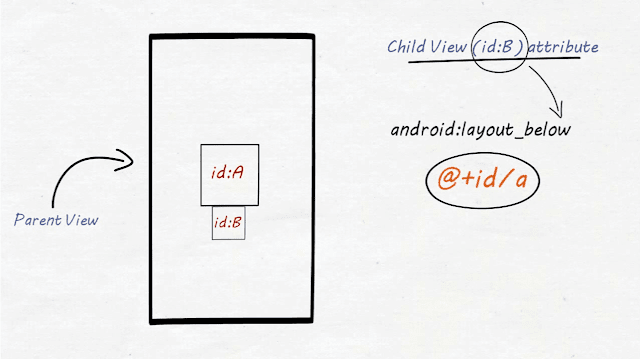 By applying android:layout_toLeftOf on child view (id:B), we can set this to the left side of another child view (id:A). See the result of this attribute. We applied it on our child view(id:B). By applying android:layout_toRightOf on child view (id:B), we can set this to the right side of another child view (id:A). See the result of this attribute. We applied it on our child view(id:B). Sounds Great !!! You learnt almost 80% of this tutorial. Before moving forward, Have you subscribed our YouTube Channel ? 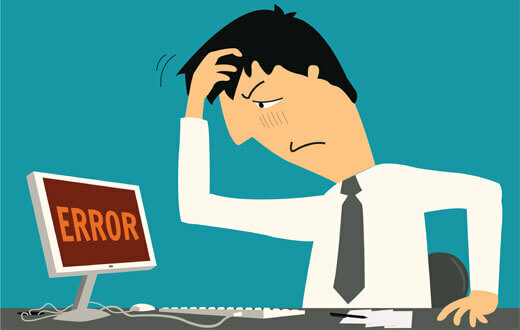 It helps us to make more informative blogs and videos for you. Please click on subscribe button. And also don't forget to bookmark us (Ctrl + D). Okay, so there are some more interesting attributes. android:layout_alignParentTop This attribute takes child view at the top position of parent view. 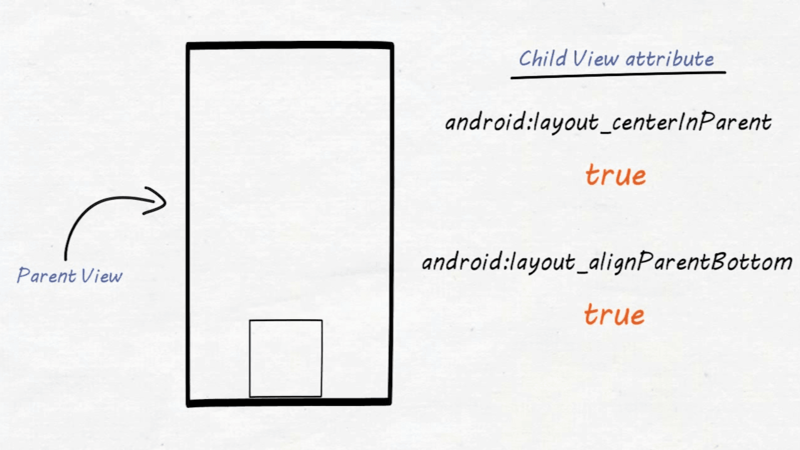 android:layout_alignParentBottom This attribute takes child view at the bottom position of parent view. android:layout_alignParentLeft This attribute takes child view at the left side of parent view. android:layout_alignParentRight This attribute takes child view at the right side of parent view. android:layout_alignParentTop takes child view at the top position of parent view. We are also using android:layout_centerInParent for better understanding. android:layout_alignParentBottom takes child view at the bottom position of parent view. android:layout_alignParentLeft takes child view at the left side of parent view. 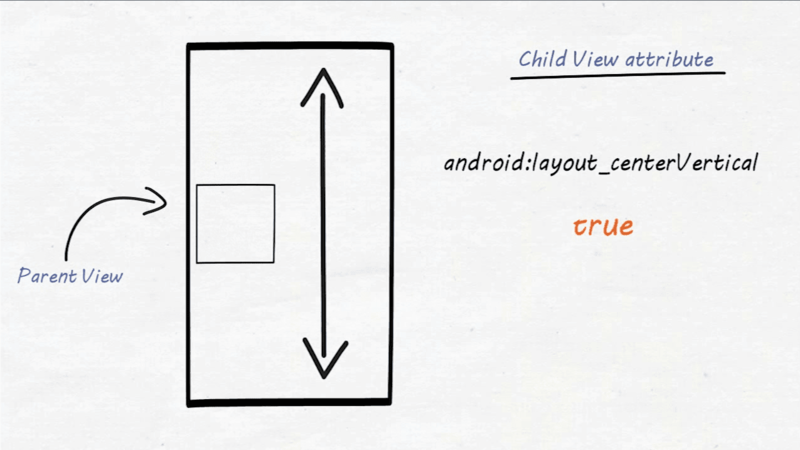 android:layout_alignParentRight takes child view at the right side of parent view. That's it for today. Do practice as described in video at the top of this blog. And if you face any issues then clear them by commenting below. Hey there, it's our pleasure and thanks for commenting.